Everything began to unravel on October 5, 1986, when a Nicaraguan soldier downed an American plane carrying arms to “Contra” guerrillas, exposing a tightly held U.S. clandestine program. A month later, reports surfaced that Washington had been covertly selling arms to Iran (our sworn enemy and a state sponsor of terrorism), in exchange for help freeing hostages in Beirut. The profits, it turned out, were going to support the Contras, despite an explicit ban by Congress. Yet, despite the enormity of the issues, the affair dropped from the public radar due to media overkill, years of legal wrangling, and a vigorous campaign to forestall another Watergate. As a result, many Americans failed to grasp the scandals full import. Through exhaustive use of declassified documents, previously unavailable investigative materials, and wide-ranging interviews, Malcolm Byrne revisits this largely forgotten and misrepresented episode. Placing the events in their historical and political context (notably the Cold War and a sharp partisan domestic divide), he explores what made the affair possible and meticulously relates how it unfolded—including clarifying minor myths about cakes, keys, bibles, diversion memos, and shredding parties. 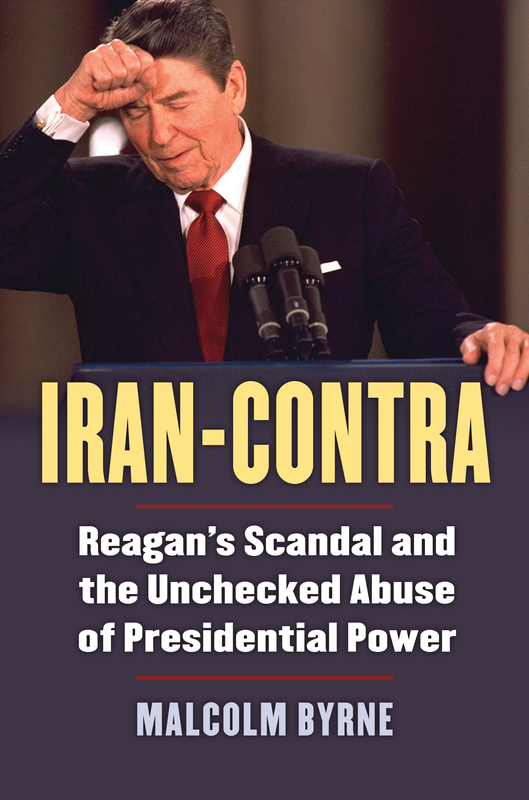 Iran-Contra demonstrates that, far from being a junta against the president, the affair could not have occurred without awareness and approval at the very top of the U.S. government. Byrne reveals an unmistakable pattern of dubious behavior—including potentially illegal conduct by the president, vice president, the secretaries of state and defense, the CIA director and others—that formed the true core of the scandal. Malcolm Byrne is Deputy Director and Research Director at the National Security Archive. He is the coauthor of Becoming Enemies: U.S.-Iran Relations in the Iran-Iraq War, 1979䳛1988.